In this challenging 2D action platformer, the goal is to increase a sword's power by completing quests for the Smith, the Chemist and the Mage. There are many powers to explore, and some of them combine together to create new hidden abilities. You can only increase your weapon a set amount of times before putting it to the test, so choose your upgrades wisely! Hello everyone, Brand is currently on sale at 80% off, so if you know anyone who could be interested in trying the game, now is the best time to share the news with them! 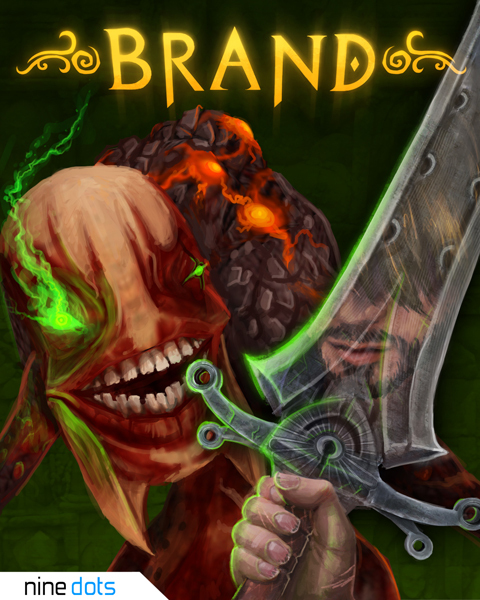 We'd like to bring the game to a larger audience, so we've submitted Brand on Steam Greenlight (https://steamcommunity.com/sharedfiles/filedetails/?id=92946396) and could use an upvote! The goal is to increase a sword's power by completing quests for the Smith, the Chemist and the Mage. Is the Unity port progessing? It's on ice for now as we focus on finishing GoD Factory: Wingmen, but we will come back to it eventually, that's for sure! Holy ****! I've been looking for a proper 2.5D beat 'em up game for ages now and this looks perfect! I'll try this as soon as possible. And it is really good. I am glad to have bought it. Thanks a lot to Guillaume for providing keys to ne_zavarj for his giveaway on gog.com forum! I'd like to thank Guillaume for his generosity donating the keys for ne_zavarj's GA (I'm one of the lucky -and very happy- winners). Thank you for your Desura keys donation for my giveaway on the GOG forum . Sadly, there is no way to switch off VSync for now.